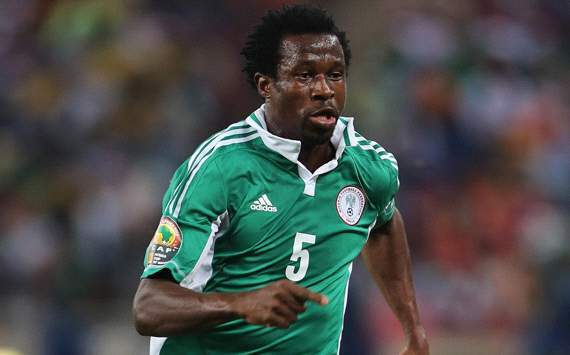 Celtic defender Efe Ambrose has said that Nigeria cannot afford to be complacent when they play against Kenya in March in the 2014 World Cup qualifiers. He urged his colleagues to approach the match with all the seriousness it deserves to be able to win the match and brighten Nigeria's chances in the march towards Brazil. Still in celebration mood Ambrose disclosed from his base that there was need to sustain the winning streak of the Eagles and his teammates must not allow complacency at this stage. "Playing Kenya will not be easy because I could remember they gave us a scare during the 2010 qualifiers but we weathered the storm then. "We need to be very determined and continue to show our commitment and resilience to get the World Cup qualification ticket which I am very confident that we will get at the end of the qualifiers," Ambrose disclosed. The defender is being courted by top English clubs following his brilliant performances at the Afcon.